Members do business with members. GHBA members share a common interest in our industry. Whether you are an advocate for advancement in building and land development or want to increase your marketing efforts, you will find that members working together make a strong alliance. Rebuilding after Harvey? Choose “Remodelers” under Business Activity below. 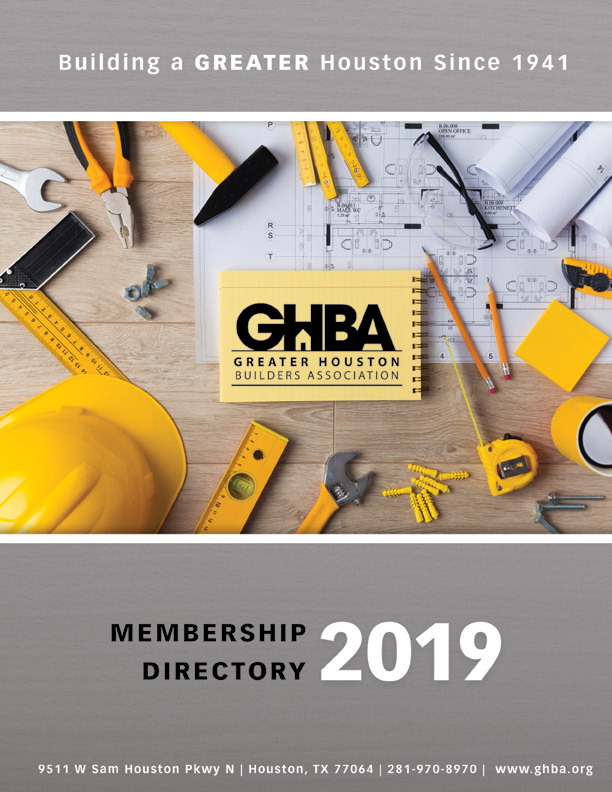 Why do Business with a GHBA Member? Our members know the importance of excellent customer service. Member companies have high ethical and professional standards and are committed to providing customers with exceptional services and quality products. Member companies take the time and spend the money to belong to a professional organization striving to raise standards. A “fly-by-night” company that plans to line up jobs, take the money and disappear will not take the time or spend the money to join a builders association. Our members make continuing education a priority. Through the association they have access to industry and consumer trends, new building technology, innovative financing plans, changes in state and local building codes and ordinances, environmental regulations, and ongoing education that keeps them professional. Remember, when doing business...Call on a member first!